Isabel, Barber County, Kansas, 26 Sept 1991. Plot Map of Isabel, Barber County, Kansas. From the 'Standard Atlas of Barber County Kansas', 1905. Isabel Glee Club, 1908 - 1909, Isabel, Kansas. 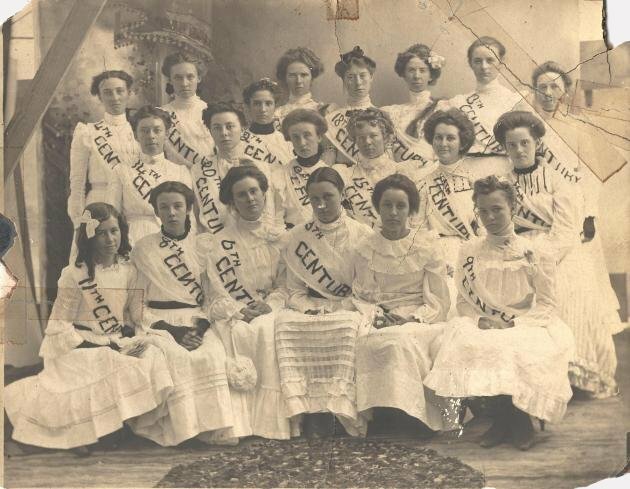 Lulu (Bunch) Inslee is the 4th girl from the left in the middle row. Isabel . On the CK&W div of the ATS&F RR in Barber county, 15 miles north of Medicine Lodge, the county seat and nearest banking point. Population 20. Dailey stage to Medicine Lodge; fare $1.50. W.C. Waller, postmaster. 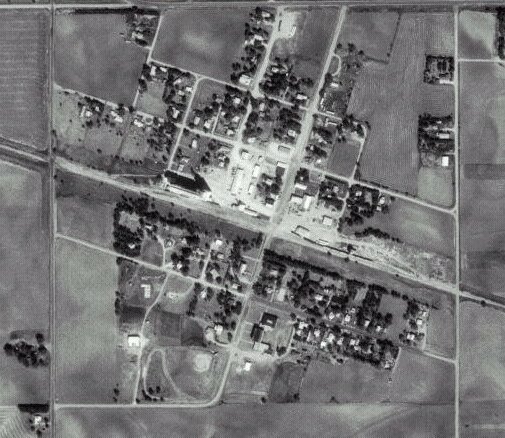 Isabel is a little village on the north line of the county, on the Mulvane extension of the Santa Fe, in Valley township. It does not make much of a showing on the delinquent tax rolls, but it is quite a grain-shipping point for the thrifty and prosperous farmers living around it. It is located in a rich and beautiful plain, with nothing but comfortable farm houses, barns and orchards to break the view. Those engaged in business in Isabel enjoy a good trade. Isabel School - 1911 list of students, courtesy of Amelia Parry. This RootsWeb website is being created by Jerry Ferrin with the able assistance of many Contributors. Your comments, suggestions and contributions of historical information and photographs to this site are welcome. Please sign the Guest Book. This page was last updated 20 April 2007.